Dr. Haichun Ye is an associate professor of Economics at the School of Management and Economics of the Chinese University of Hong Kong (Shenzhen). She received her Ph.D. in Economics from University of Oklahoma in 2007, and B.A. in Economics (majoring in International Finance) from Shanghai University of Finance and Economics in 2001. 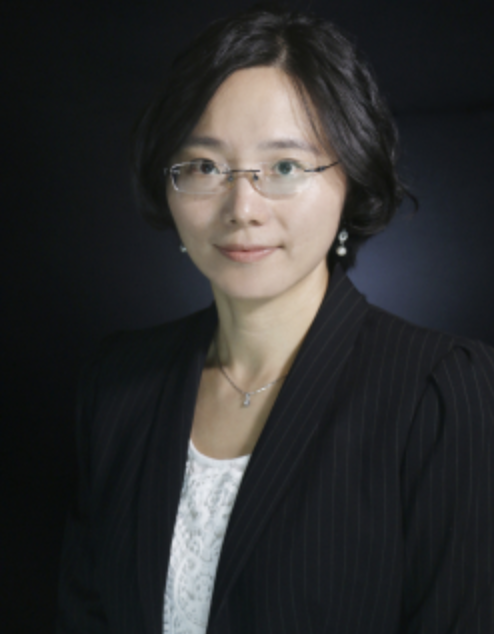 Her primary research interests include international finance, monetary economics and Chinese economy. She has published papers in Journal of Monetary Economics, Review of Financial Studies, Journal of Development Economics, Review of Economic Dynamics, Journal of Money, Credit, and Banking, Journal of International Money and Finance, Economic Inquiry, International Journal of Forecasting, Public Choice, etc. She received the 3rd Sun Yefang Financial Innovation Award in 2018. 1. FDI, trade credit, and transmission of global liquidity shocks: Evidence from Chinese manufacturing firms (with Shu Lin), Review of Financial Studies, Vol. 31(1), 2018. 2. The international credit channel of U.S. monetary policy transmission to developing countries: Evidence from trade data (with Shu Lin), Journal of Development Economics, Vol. 133, 2018. 3. Exchange rate volatility and trade: The role of credit constraints (with Shu Lin and Kang Shi), Review of Economic Dynamics, Vol.30, 2018. 4. Towards an integrated spot LNG Market: An interim assessment (with Xiaoyi Mu), Energy Journal, Vol. 39(1), 2018. 5. Comparing the effectiveness of traditional vs. mechanized　identification methods in post-sample forecasting for a　macroeconomic Granger causality analysis (with Richard Ashley and John Guerard), International Journal of Forecasting, Vol. 31(2), 2015. 6. Small trends and big cycles in crude oil prices (with Xiaoyi Mu), Energy Journal, Vol. 36(1), 2015. 7. Political fractionalization and delay in fiscal stabilizations: A duration analysis (with Kevin Grier and Shu Lin), Public Choice, Vol.164(1-2), 2015. 8. Does inflation targeting help reduce financial dollarization? (with Shu Lin), Journal of Money, Credit, and Banking, Vol.45(7), 2013. 9. Current account adjustment in developing countries: The role of exchange rate regimes (with Xiaoyi Mu), Economic Inquiry, Vol.51(2), 2013. 10. On the Granger causality between median inflation and price dispersion (with Richard Ashley), Applied Economics, Vol.44(32), 2012. 11. What to target? Inflation or exchange rate (with Shu Lin), Southern Economic Journal, Vol.78(4), 2012. 12. The role of financial development in exchange rate regime choices (with Shu Lin), Journal of International Money and Finance, Vol. 30(4), 2011. 13. Which panel data estimator should I use? (with W. Robert Reed), Applied Economics, Vol. 43(8), 2011. 14. Understanding oil prices: How important is the China factor? (with Xiaoyi Mu), Energy Journal, Vol. 32(4), 2011. 15. Dollarization does promote trade (with Shu Lin), Journal of International Money and Finance, Vol. 29(6), 2010. 16. Does inflation targeting really make a difference in developing countries? (with Shu Lin), Journal of Development Economics, Vol. 89(1), 2009. 17. Twin sons of different mothers: the long and the short of the twin deficits debate (with Kevin Grier), Economic Inquiry, Vol. 47(4), 2009. 18. Does inflation targeting really make a difference? Evaluating the treatment effect of inflation targeting in seven industrial countries (with Shu Lin), Journal of Monetary Economics, Vol. 54(8), 2007.